(JTA) — Jewish-American woman’s gymnast Aly Raisman earned a spot in the individual all-around competition at the Olympics in Rio. Raisman took the second spot for the American women ahead of all-around defending gold medalist Gabby Douglas and behind three-time world all-around champion Simone Biles. The American women’s gymnastics team came in first place in the qualifying for the team finals with a score of 185.238 points, ahead of second place China with a score of 175.279 and third place Russia with 174.620. The finals will take place on Tuesday. 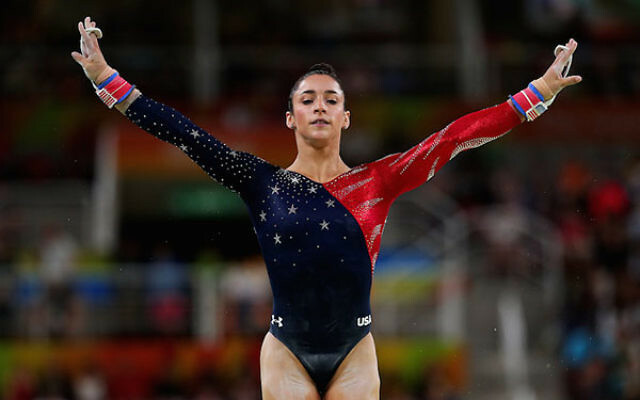 Raisman, 22, is the U.S. women gymnasts’ team captain, and is nicknamed “Grandma” by her teammates.